Want to shine bright in school? Our School Stars learning helpers are packed with amazing extras that give you the edge in class. 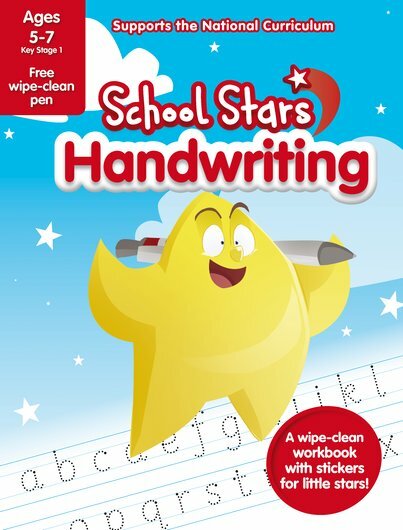 Such as this book: with lovely bright stickers and wipe-clean activities to help you perfect your handwriting. First you have to form the letters. Then you make them look neat. And you might even want to join them together. Luckily, these colourful activities make it really easy. Wipe away mistakes and have fun trying again!